The final phase of any block of training is the Taper Phase. This is a phase which we taper off the high stress training and make reductions to “freshen” up your body so that it can perform on race day. You will hear about tapering primarily when it comes the Marathon or Ultras and occasionally for Half-Marathons because the length of the races which demand higher mileage often demand it. “Backing off” for a race is simply a mini-taper which can last 2-4 days which is standard to prepare for a good shorter race where a personal best is the goal. The taper is simply a beefed up version of that, extending 2-3 weeks depending on the degree of your fatigue or the enormity of your mileage base in advance of the race. To taper and therefore freshen the body up, we have to cut out or sharply reduce the variables that caused you to be fatigued in the first place: 1) The quantity and 2) the quality. I will do a 3 week taper if I am feeling unnaturally fatigued before a race (Remember that “fatigued” as it applies to training does not refer to “drowsy, bored, dehydrated, or lazy”). Recognize the difference! I will do a 2 week taper if I’m feeling pretty good and ready to go and will not go shorter than ten days. 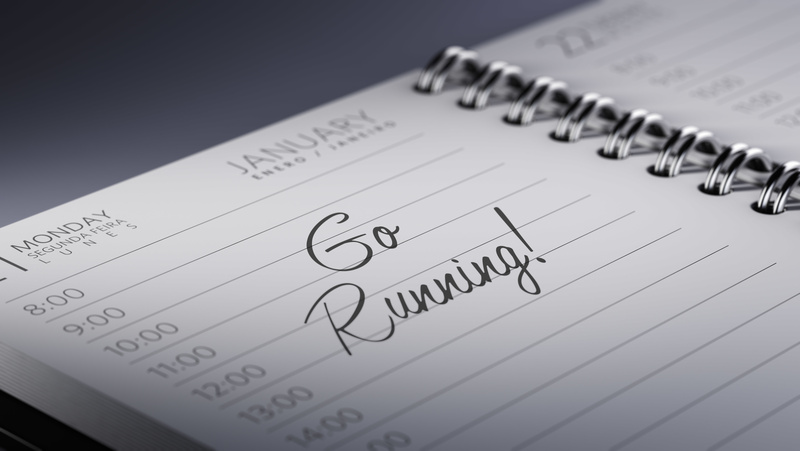 During this taper, I will reduce the amount of running I do per day. For you all, that may be a daily reduction of 15-30 minutes off your base runs (15 minute daily runs require no taper, they require more running!). If your you are doing 75 minutes per day, however, this taper can be pretty effective for bringing life in your legs you don’t even remember since the first month of your training stint. I will also reduce the quality of your runs. Your final workout called a sharpener is essentially a mini-speed workout, so small it will barely fatigue your legs, yet it will preserve if not restore all the bounce, opened up stride, deep inhalation you’ll want to be on point on race morning. Week one of taper, I’ll remove all quality completely, allow you to jog lightly all week. It’s a “crash” resting tactic to freshen up your legs as much as possible without halting training to the point of deconditioning. Week #2 (the week of your race, I’ll give you the taper workout). Never do the taper after Tuesday. The days ahead matter most. Like landing a plane before hitting the ground you need the focus. Focus on sleep, diet, mental relaxation, hydration, stretching and most importantly, NOT running too hard or too much! If you don’t feel like jumping rope or taking the stairs vs. the elevator the night before your race, you are not ready to go. Once you develop an effective taper routine, you will have trust in it as a template for the future. No two tapers are exactly alike over time. It’s a time to heed the requests of the body and it is a time to listen to it carefully. The taper can drive you nuts, you will feel like your training hardened muscles are softening, you may gain a couple of pounds, you’ll feel like you are falling out of shape, your runs may go flat and even the first few days of the taper, it may not feel like it’s having any effect (Remember that when you started training you didn’t feel the increasing fatigue in the first few days either! Think of this as a reversal of that). I can tell you that at the 20 mile mark you will thank every extra mile on your base runs leading up to the race you DIDN’T do during this crucial 2-3 week phase. The life preserved in your legs will carry you the last 6.2! Note: One of the best things you can do 4-6 weeks out from your marathon is to race a half-marathon. This will make you feel race ready and race sharp mentally. Also since the race is half the length of the marathon, you are likely to run a faster pace per mile than expected in your marathon which in turn will make the marathon pace feel smoother and easier mile after mile. It will also calm your nerves because the half-Marathon will give you much needed race confidence – particularly if it goes very well despite the fatigue you are under having not yet reached the taper phase! A reminder that a poor Half-Marathon before your marathon does NOT in any way guarantee a poor forthcoming marathon! I have seen plenty of evidence in my own racing career to support that as well! Not an Elevate Fitness member but interested in trying out Running Club?